The title of Donald Weber's latest book, Interrogations, is very appropriate: both because they are the book's subject, but also because this book raises a number of difficult questions which it deliberately refuses to answer. 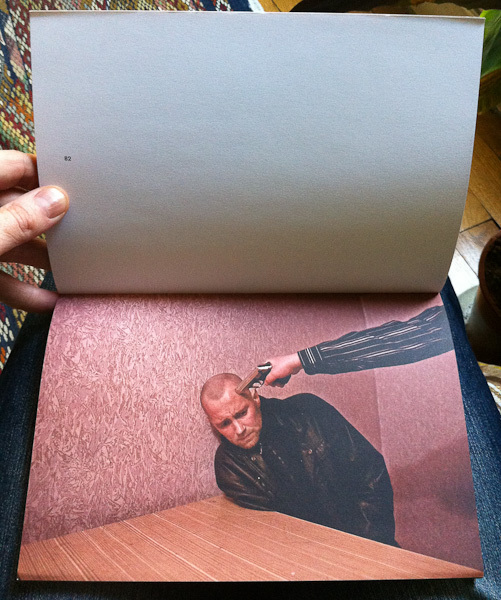 Set in Russia and the Ukraine, the book is made up of a series of portraits of people being questioned in different interrogation rooms, each as sparse as the next. By choosing not to include any captions and very little information about the context of these interrogations, Weber has put together a book which is an unflinching and discomfiting encounter with a particularly brutal and raw manifestation of power. Although the interrogations themselves are book-ended by a prologue and an epilogue, these provide limited context. The prologue consists of images which set a mood for the book. They depict a bleak, difficult world punctuated by a few moments of natural beauty and provide an abstract sense of life in these parts. They also serve as a reminder that Weber did not parachute in to shoot his portraits but spent close to six years shooting in the region. Rather than showing us the specific worlds or lives of the subjects of the interrogations, the prologue creates a sense of foreboding for what is to come. The epilogue—a longer essay by Larry Frolick and two shorter pieces by Frolick and Weber and by Weber on his own—refuses to provide much context either. 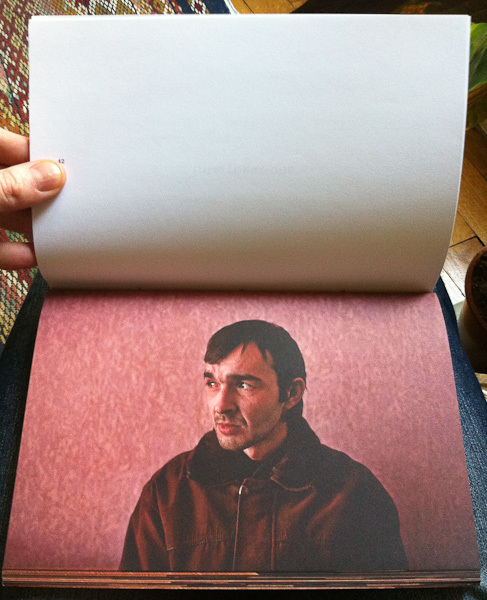 Like the book's photographic introduction Frolick's essay is also a mood piece documenting a difficult trip that Frolick took with his Ukrainian fixer, an echo of the bleakness, strength and the violence of the world photographed by Weber. 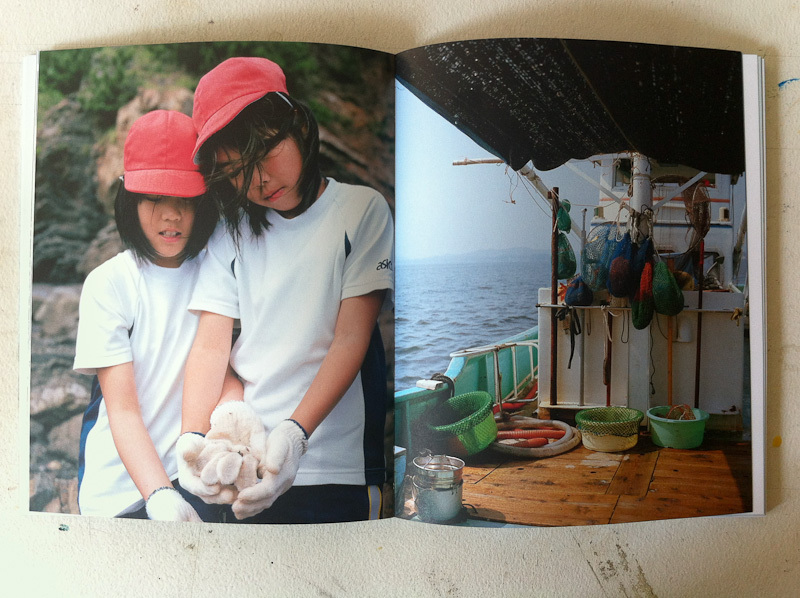 As an object, the book is very well made. Its size, unusual 'vertical' format and the full-bleed one-per-spread treatment of the portraits all contribute to its intensity. The cover is initially a little confusing, until the portraits reveal that it replicates the cheap, textured wall of one of the interrogation rooms, a clever design feature. Naturally the meat of the book is the portraits themselves. Taken in a handful of dingy, sparse interrogation rooms, they show different people undergoing a psychologically and sometimes physically violent interrogation process. We are not told who these people are are, what they are accused of, or why they are being interrogated. Indeed the book only indirectly reveals that these photographs were not staged and were taken during real interrogations. As one portrait follows the next, the emotions intensify. Concern and defensiveness give way to terror, panic and perhaps most alarmingly to expressionless faces, the faces of people whose spirit has been broken. The claustrophobia and tension of these portraits is heightened as the interrogators are never revealed. The few glimpses that Weber affords us are manifestations of pure violence and intimidation: a hand outstretched to grab a man or to strike another on the back of the head. In two of the most shocking portraits an interrogator presses a gun to the head of their subject. Weber prides himself on his unflinching gaze and this comes through clearly in these portraits. Just as for those being interrogated, there is no respite or redemption in the book: we are 'forced' to stare head on at raw terror, at the loss of dignity, at brutal physical intimidation. The overall effect is visceral and deeply uncomfortable. In Weber's words, "the unseen subject of these photographs is Power". For me this is the success of the book: by removing any context about these people, thereby turning them into the "Invisible Man", and by reducing the interrogators to faceless threats, to an abstraction of brute force, Interrogations is able to grapple with the 'capitalised' ideas of Power, Violence and Fear. The book also raises some fundamental questions about the photographic process at play here. By sitting through these interrogations and photographing them without intervening, was Weber not complicit in their violence and their brutality? Indeed, by looking at these pictures are we not also complicit in their violence? What did Weber have to do to get access to these situations, who did he have to associate with and what, if anything, did he do for those that were being subjected to this violence? Why did he show them stripped of all dignity and reduce them to total anonymity? These questions are not new: they are at the heart of any documentary photographic practice, but this book poses them in the starkest manner possible. Although he does not answer them directly in the book, Weber has been quite open in interviews (with Colin Pantall and with Pete Brook) about his process and the questions his images raise about his motivation and responsibility as a photographer. However, for me the book's one failure is in Frolick and Weber's short essay outlining the intentions for this project. The text manages to be grandiloquent ("the photos in this book were ... the inevitable product of a Western artistic sensibility confronting the mystery of the Other"), confused ("the artist's goal is to shock us with our own wordlessness: to show us proofs of life in its willful alternative histories") and sometimes a little silly ("exposing yourself to the cold winds of the void", "speaking in silence"), in a way that feels very much at odds with the directness and simplicity of these photographs. The book would have been even more brutally powerful without this poor articulation in words of what it succeeds in doing with images alone. Donald Weber, Interrogations. (Amsterdam: Schilt Publishing, 160 pages, colour plates, 2011).